Varying the color along a streamline. 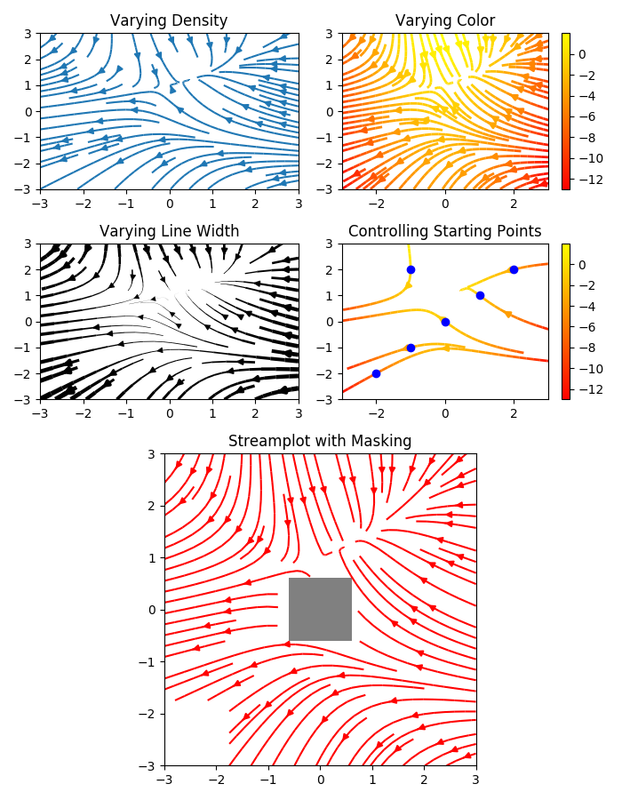 Varying the density of streamlines. Varying the line width along a streamline. Controlling the starting points of streamlines. Streamlines skipping masked regions and NaN values. # Displaying the starting points with blue symbols.